The Mango Bay Resort on the Coral Coast was the winner of the 2007 Fiji Tourism Awards for 'Best Budget Accommodation on the Fiji Mainland'. The Mango Bay Resort is Fiji's first flashpacker resort and has a wonderful beach front location on Fiji's famous coast line, the Coral Coast. Holiday makers, tourists and families will be able to relax in in the ocean front lagoon style swimming pool, join in a special tropical sunset bonfire or chill-out under the stars and experience the open air cinema with the backdrop of the warm Fijian night sky. 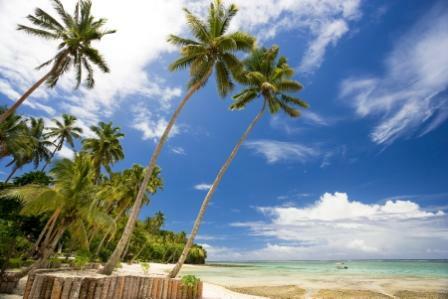 The resort is centrally located half way between Nadi and Suva and provides great value for money Fiji accommodation that won't break your budget. The water front bures have absolute beachfront views as well as traditional thatched roofs, queen size bed, private ensuite and gorgeous outdoor showers set within a tropical atmosphere. There is just so much to see and do around the Mango Bay Resort including visiting an arts village, white water rafting, beqa big fish shark diving, tours of the capital city Suva, jet ski safari, sigatoka river safari, cave tours and visits to the handicraft market.